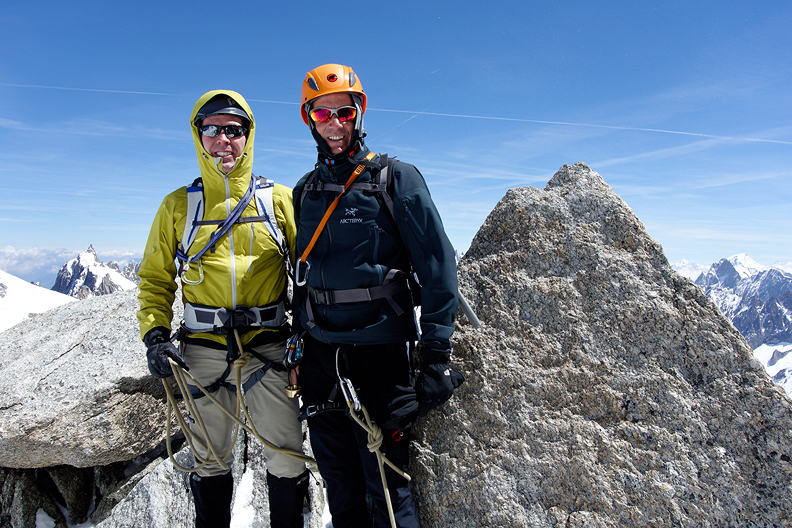 Graham Longford, originally from Canada but now in Switzerland, was joined by his friend Steve for a couple days climbing in Chamonix. 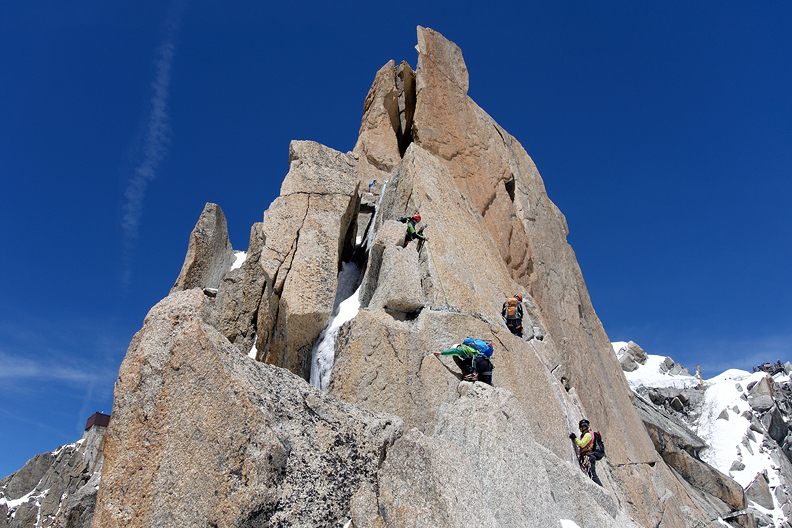 We started with a "full" traverse of the Pointes Lachenal, continuing up the Arete des Cosmiques. 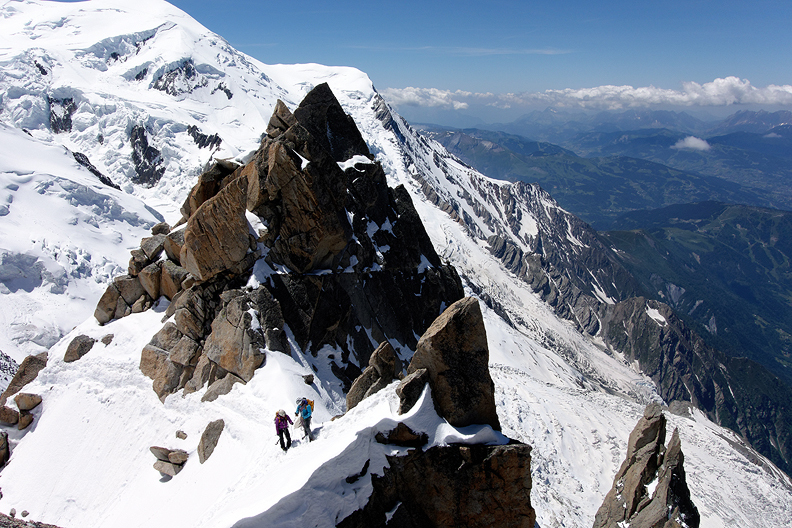 On our second day we traversed the Aiguille d'Entreves. 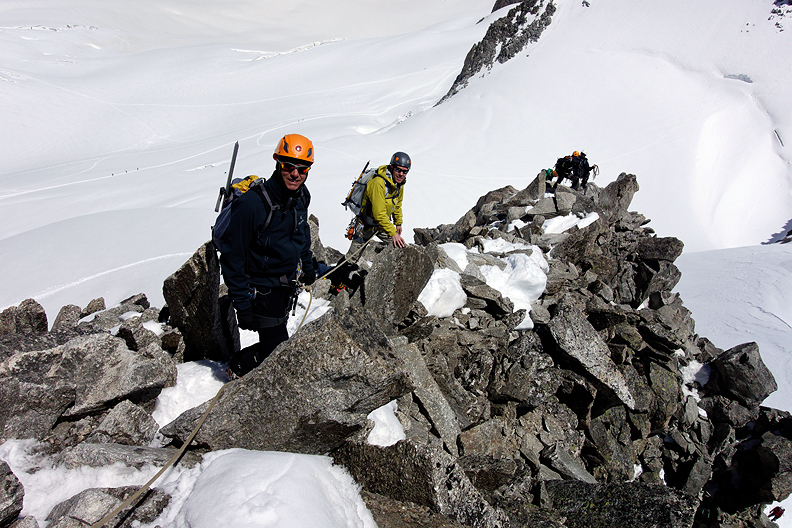 Our first climb, or series of climbs was a traverse of the Points Lachenal. Roll your mouse over the image to see the route. 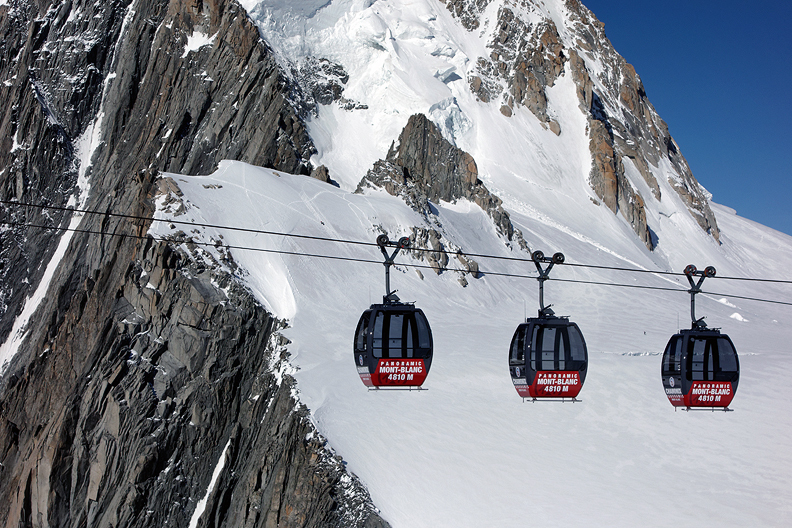 This photo was taken on our second day, as we rode the bubble lift to Point Helbronner and the Aiguille d'Entreves. 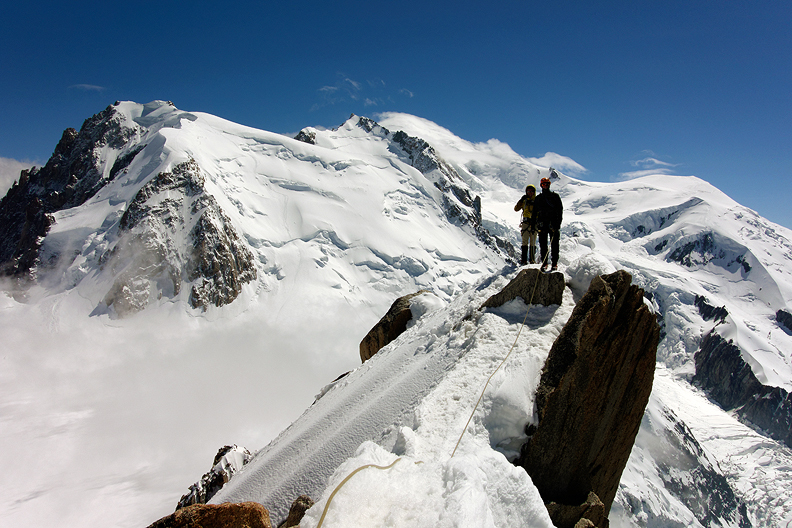 Looking down the ridge leading from the Aiguille du Midi. 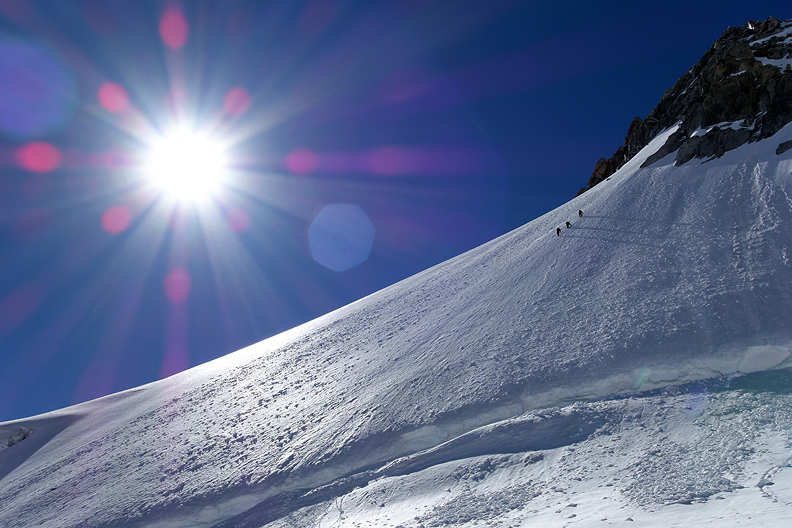 On the summit of the highest Point Lachenal. 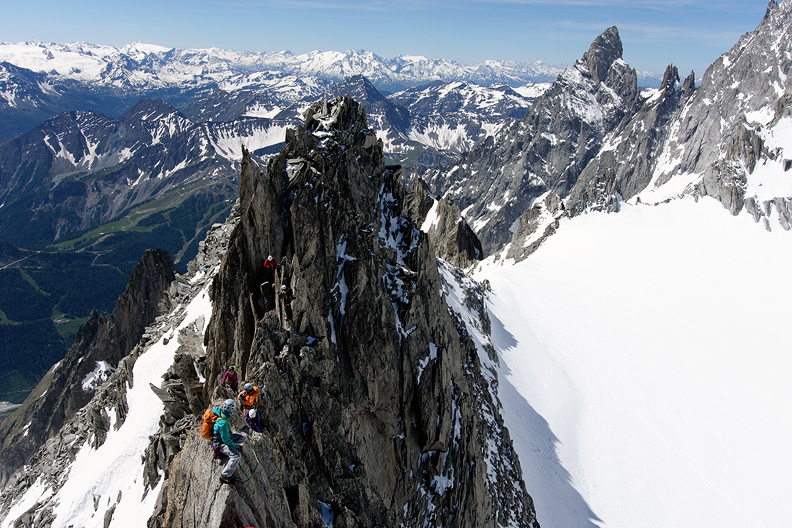 Another party on the Arete des Cosmiques. A busy, but lovely day on the crux pitches. Looking back down on part of the route. 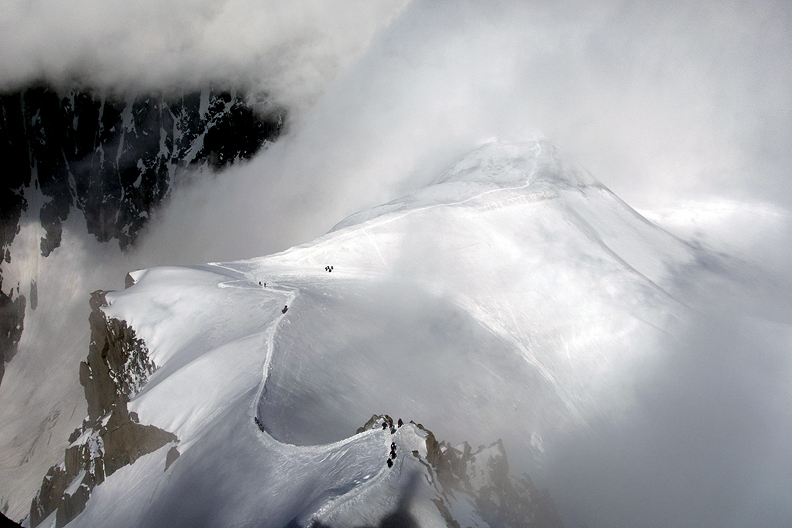 Mont Blanc is hidden in a cloud cap, just above the tower. 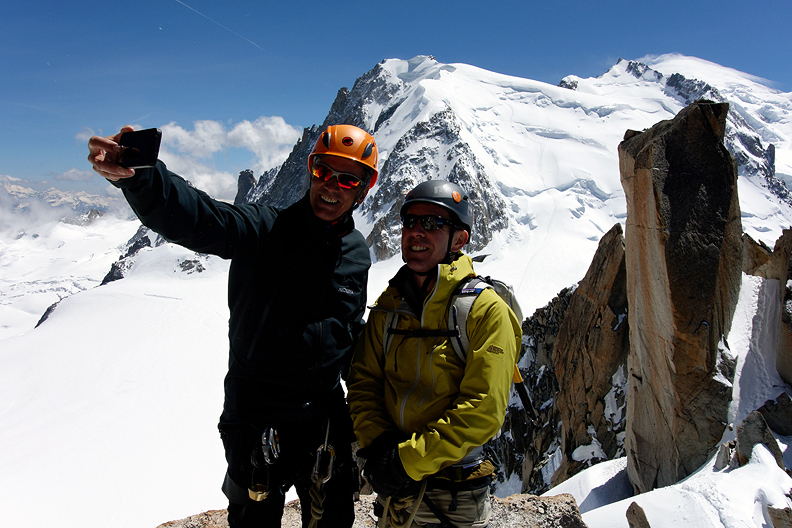 A selfie on the Cosmiques. 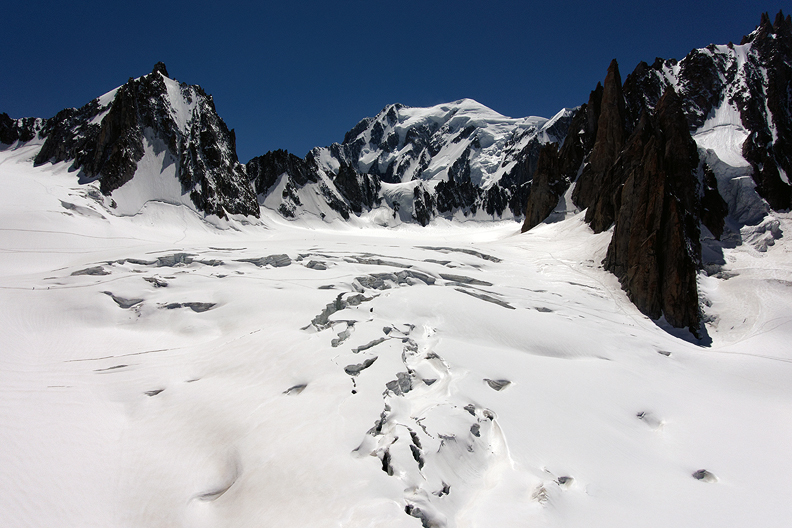 The summit photo on the very last section of the Cosmiques. 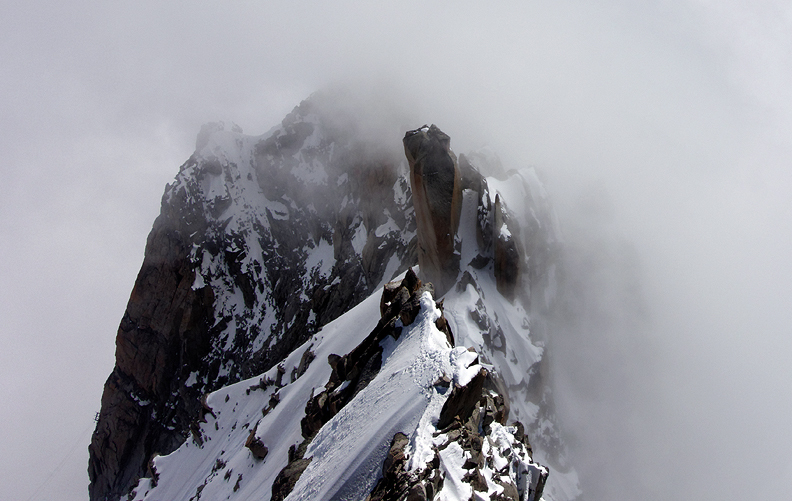 From the summit viewing platform, looking down on part of the Arete des Cosmiques. Rollover the image to see the line. The "Step into the Void". Having had real air beneath our feet all day, we didn't partake. 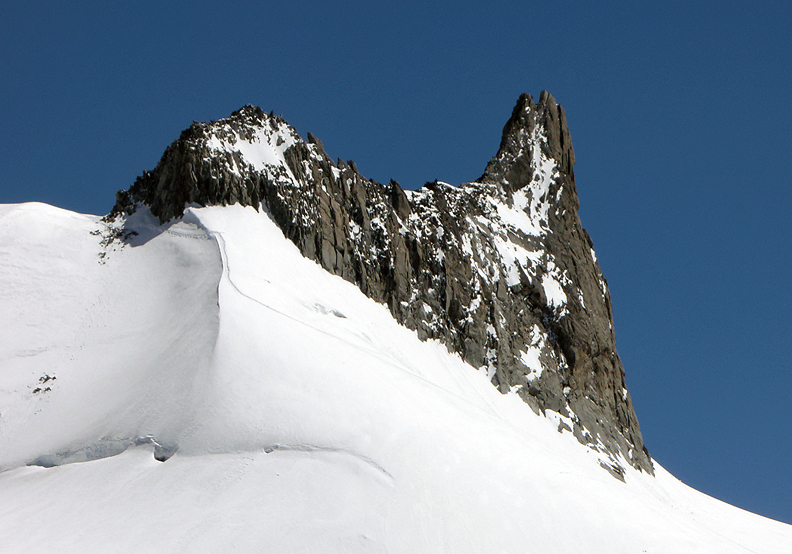 The Aiguille d'Entreves, our climb of day two. We traversed the peak from right to left. 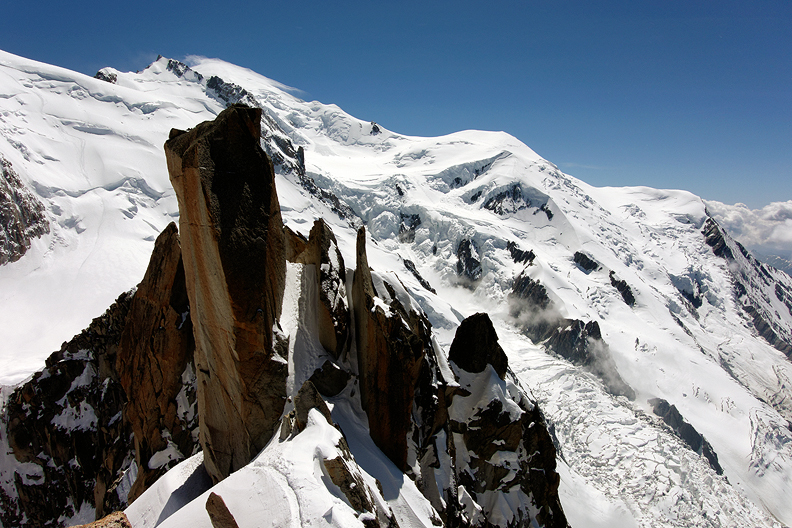 Mont Maudit on the left and Mont Blanc du Tacul on the right, from the hike to the start of our climb. 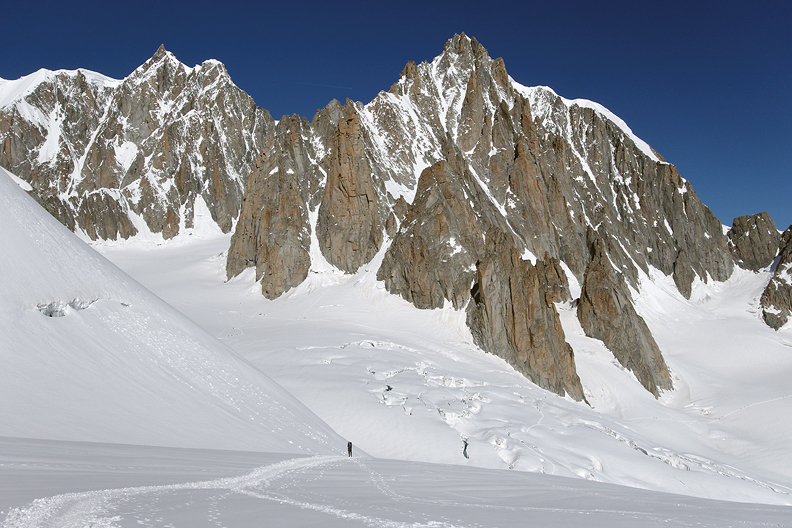 Another party on the northern snow slopes of the Aiguille du Toule, on the way to the Entreves. Looking down the southwest ridge of the Entreves. Lots of folks on this busy Saturday. 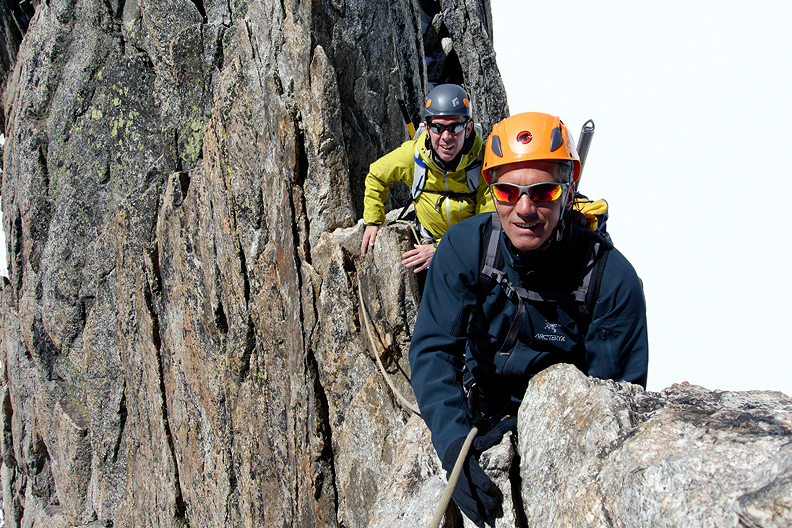 Steve (left) and Graham on the Entreves. Easy climbing on the descent. 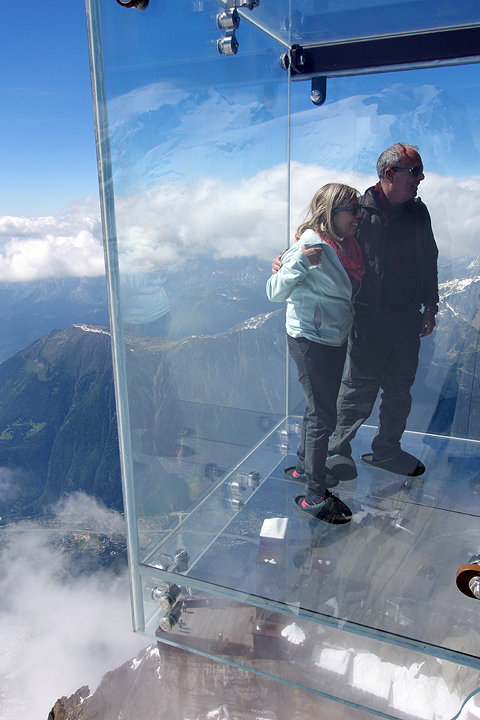 Looking up towards Mont Blanc from the "Panoramique" lift back to the Aiguille du Midi and home.